Prominent & Leading Manufacturer from Ghaziabad, we offer movable wall partition door, soundproof wall partition door, acoustic sliding partition door and wall partition door. Assisted by our team of hardworking professionals, we are indulged in offering an extensive gamut of Movable Wall Partition Door. The most favoring advantage is it provides excellent high privacy, energy savings and at the same time aesthetically appealing flexibility (Layouts of the room can be changed as per the venue requirements) in the form of sound proofing. 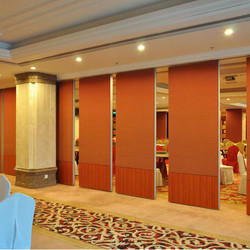 We are offering Soundproof Wall Partition Door to our clients. The board was attached using screws. The GI studs were spaced on few centers. The wall section was filled with fiberglass insulation. Mtr density. A single layer of Sound Barrier (MLV) was attached to the Studs as shown in the picture. All outside joints caulked. 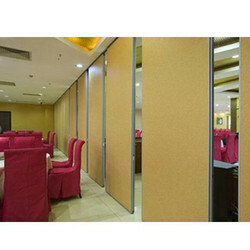 We introduce our business as a notable entity of a qualitative array of Acoustic Sliding Partition Door. 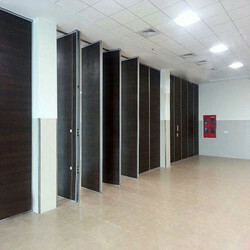 We have marked a dynamic position in the market by providing the finest quality range of Wall Partition Door. 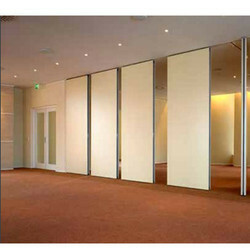 Looking for Partition Door ?